Harare - Khama Billiat is under attack, this time from hackers, who have taken over his Facebook and Twitter accounts. The group is demanding that he pays them US$10 000 by yesterday or they will release his pictures, and other stuff, to the global media. They have also threatened to use his accounts to insult the Zimbabwe Government, President Mnangagwa and South African leader President Cyril Ramaphosa. Mamelodi Sundowns coach, Pitso Mosimane, Peter Ndlovu and Kennedy Mweene are recent victims of hacking. They have been sending a number of threatening messages to Billiat, including describing him as a ‘’f*****g b*****d,’’ and warning they will create ‘’the biggest scandal in South Africa and Zimbabwe,’’ if he does not bow to their demands. The hackers have left Billiat’s Instagram account functional because they say they had to keep open an avenue for the two parties to keep communicating. They struck on Saturday. 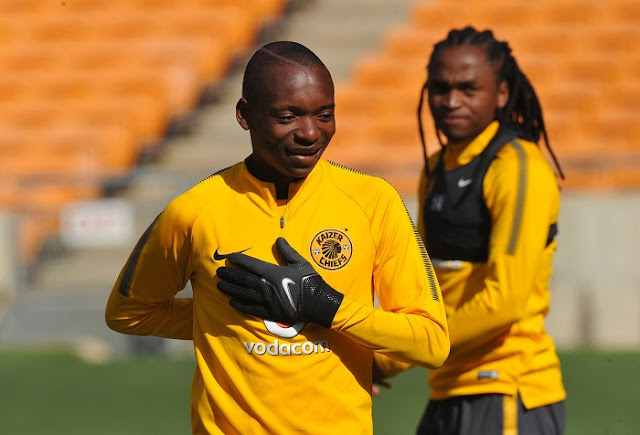 Warriors’ team manager Wellington Mpandare, who has been counselling the Kaizer Chiefs’ star, said the ordeal has left Billiat badly shaken. “I have constantly been in touch with him since he alerted me of what happened at the weekend and I can tell you that it has been a terrible few days for him and his family because you don’t want to be targeted by such cyber criminals,” said Mpandare. "Coach Pitso Mosimane, Peter Ndlovu & Kennedy Mweene’s phones have all been hacked,’’ Sundowns said in a statement. Don’t send any money to the scammers. Now, they have targeted Billiat. "You b*****d, listen,’’ they sent a message on his Instagram account on Saturday. ‘’We’ve hacked all your accounts on social media and have all your photos. “A day passed, we will execute after 24 hours if you do not reply. F*****g b*****d. We left your Instagram to communicate with you only and to (make you) believe we can control all your accounts.